A wholesaler has been prosecuted by West Sussex Trading Standards after supplying sheep meat instead of goat, according to the county council. A spokesman for West Sussex County Council said that Forge Farm Meats Ltd, based in Tunbridge Wells, Kent, has been ordered to pay more than £8,000 in fines and costs after goat meat it supplied to two West Sussex butchers was found to be sheep. The company pleaded guilty to two offences under the Food Safety Act for supplying misrepresented goat legs to the two butchers, the spokesman added. Following a customer complaint, Trading Standards officers covertly purchased 11 goat samples from West Sussex butchers and restaurants. Eight of these were found to be sheep meat. Peter Aston, West Sussex Trading Standards team manager, said: “Traceability and correct labelling is vital as once butchered, goat meat is very difficult to tell apart from mutton or lamb. “Some of the sources of the meat tested traced back to a Spanish cutting plant, so as a result we are sharing information from our investigation with the Food Standards Agency and Spanish authorities. 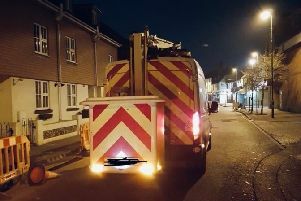 David Barling, West Sussex County Council’s cabinet member for residents’ services, said: “Our Trading Standards team have done a fantastic job acting on a consumer complaint. “Not only were consumers misled by this dishonest act but so were the local businesses involved, who purchased the meat in good faith. Investigations are ongoing to ensure all businesses involved no longer sell falsely described meat.